This is what I had to listen to for 45 minutes as I shoveled the driveway yesterday. 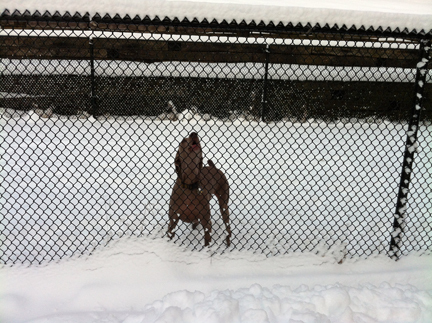 You see it’s not enough for a weimaraner to see you and be a few feet away from you. Olive would have been happier to be my back-pack or shoveling alongside me.